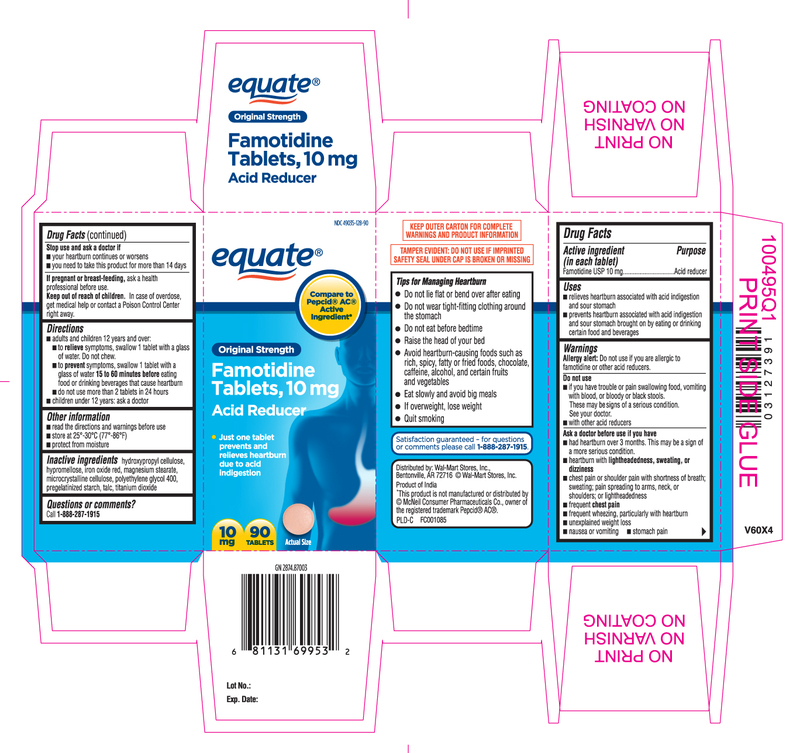 Allergy alert: Do not use if you are allergic to famotidine or other acid reducers. had heartburn over 3 months. This may be a sign of a more serious condition. to relieve symptoms, swallow 1 tablet with a glass of water. Do not chew. Distributed by: Wal-Mart Stores, Inc.
Bentonville, AR 72716 ©Wal-mart Stores, Inc.
*This product is not manufactured or distributed by © McNeil Consumer Pharmaceuticals Co., owner of the registered trademark Pepcid® AC®.